Nothing adequately prepares you for being a private citizen of a bomb-prone country. You don’t wake up in the morning and check off a list to confirm that your security is adequate—not unless you’re an airplane pilot, and maybe not even then. There is no transition period: one year you are a normal resident of a normal country with its share of normal violence—and the next year there is the serious possibility of a bomb being planted under your car. In fact, you have to wonder if any mental preparation is possible in Nigeria, today. It seems that the sensitivity of the Nigerian public to destruction and death is declining in proportion to the increasing terrorism in the country. So far, it seems as if the major Nigerian city—Lagos—has been spared from this reign of infantile terror. Consequently, economic and social activities are, superficially speaking, unaffected by the security crisis riding the north of the country. And so it was that, recently, on my way to work on an early Tuesday morning, I found myself quite unprepared for what seemed, at the time, to be a confrontation with the maleficent forces that were running amok in the north-east of Nigeria. That morning, I had parked my car by a local intersection, opposite the University of Lagos, while waiting for a colleague to join me in our daily commute. Along with another passenger, I sat in the car as the local traffic converged; around us, the suburban community nestling the University of Lagos came to life and diffused into the Lagos metropolis. My other passenger was late, but the day was early enough to accommodate some delay. I flipped through radio channels and watched the road. Across from where I was parked, was a makeshift booth from which an official of the traffic agency—LASTMA—guided traffic through the intersection. From my side-mirror, I could see, behind me, the direction from which I expected my colleague to emerge. When the minutes lengthened and my patience trickled, I squinted at every appearing female figure in the mirror to ascertain if my expected company was close. I performed this mirror gaze several times, alternating my attention between the road behind and the passenger beside. Shortly, a woman appeared in the mirror’s view and approached the car. Just as she leveled with the rear of the vehicle she stooped, briefly, then straightened up and walked on past me. She was middle aged and unremarkably dressed. She didn’t glance back after she passed but hurried on along. I glanced at my passenger puzzlingly, but she seemed not to have noticed this external activity. Curious to see what had made the stranger pause by the car, I craned out of the window and saw nothing worrisome. I shrugged off my concerns and went back to the radio talk. The news discussed Malala and her visit to the President in sympathy to the cause for the rescue of the abducted girls. Bring back our girls, Malala also said. Fair enough. Our colleague eventually arrived, and we were ready to continue the morning trip to work. Suddenly, the traffic official was by my side—rapping the car window urgently and cautioning me to stop. I had not seen him come over. My engine was running and I had just started to turn into the road. Alarmed at the intrusion, I wound down the window. “Is this for you?” the official said, holding up what appeared to be a laptop bag of typical size. It was a black leather bag and the texture looked rough and old. “No. Not at all,” I responded, slightly mystified. “That’s not mine.” I said, while my brain struggled to make some sense from the emerging scenario. In the car, my two passengers were equally nonplussed. I gestured towards them for some confirmation that my brain was not missing a chunk of objective reality. “No idea, officer. Thanks, but the bag’s not mine.” I said again. Why was a bag under my car? Some deep understanding of the security crisis in the country suddenly emerged in the morning air. Fresh attacks in Borno State had been in the news. Not long ago, a major district in the federal capital, Abuja had been targeted too. More recently, an explosion in the port area of Lagos had been claimed by Boko Haram as a bomb attack. The traffic official gently placed the bag down on the road and stepped back from the car. My passengers were now clearly alarmed but they kept mute and wide-eyed. I stammered out a response. My right foot was on the brake pedal, and I felt a distinct quiver travel from my thighs to the base of the car. I switched off the car engine. All the while, the officer and I kept on staring at the bag, awaiting some self-explanatory logic to a mystery that was verging on the dangerous. “Where’s this woman?” the traffic man asked. I gestured helplessly: How could I know? The official picked up the bag, and I automatically tensed. The sweat that gathered on my forehead was not just from the morning heat. I thought of stepping out of the car to get some air but, in the circumstances, that didn’t seem a sensible proposition. On the other hand it didn’t make much sense to sit in the car, waiting for it to happen. One could always jump out of the car and run fast—but what about my colleagues? What about the people around? How much damage could be done here? My knowledge of improvised explosive devices was limited: the black bag looked nothing like any of the crude contraptions I had seen in newspaper tragedy pictures—but it looked very much like anything that could have been concocted in a spy movie worth its salt. The sweat that gathered on my forehead was definitely not just from the morning heat. The traffic official looked worse than I felt. He had put an arm against the car—not leaning against the vehicle as much as preventing me from making a dash for it. He looked at me and his telepathic message was clear: We are going to end this together. The official looked at me askance, and I realized he didn’t know what police to call. He had no procedure for handling this situation. I shrugged; that was the best advice I could give. Vaguely, I remembered some public service announcement on handling suspicious circumstances. But it was a fragment of information, and the memory dissipated in the morning strain. I knew the official wouldn’t be releasing me. Whether or not I had any knowledge of the bag, the business still looked very bad. Seconds are ticking. I thought. We stay here chatting and seconds are ticking. A bus called passengers for the morning commute. The traffic moved freely despite the absence of the traffic official. Life went on around us. People moved on. Lagos was unconcerned by our little spectacle. Lagos, Nigeria is safe; we had been led to believe this. Lagos was impenetrable. The terrorists would not dare to invade Lagos. The impervious activity that surrounded us confirmed this idea. Strange, but even within that nervous scene, I understood the irony of our joint helplessness: the helplessness of both the official and the citizen. There we were, acting out a potentially tragic drama as the city passed by, ignorant of the destruction that the morning could suddenly unleash. Nothing had prepared us for how to be citizens of a bomb-prone country. The representative of the law was just as powerless as I—both of us trapped in the inefficiencies of Nigerian politics and government. Security had been politicized; terrorism had been given to bureaucracy. On that Tuesday morning, as we all lay transfixed on the Lagos road, playing host to the bag of doom, I realized again that we, Nigerians, were already socio-political victims even before we became physical victims. But the danger passed: from afar a well-dressed young lady came running towards us excitedly. It was her laptop bag, she said. She forgot it at the bus stop and it must have slipped to the side of the road. Now she had returned to claim it. The spell that had immobilized our little group was broken, and the traffic official admonished the newcomer. He was back on familiar territory—the omniscient government official—reigning supreme over the bumbling citizen. I repackaged my emotional state and restarted the car; the potential for danger had passed. But it could easily have been another newsworthy event in Nigeria’s sorry tales. I drove off and joined the crowded traffic of workers on the Third Mainland Bridge, drove across the calm waters of the Lagos Lagoon, and the memory of the morning’s drama regressed as the day took over. 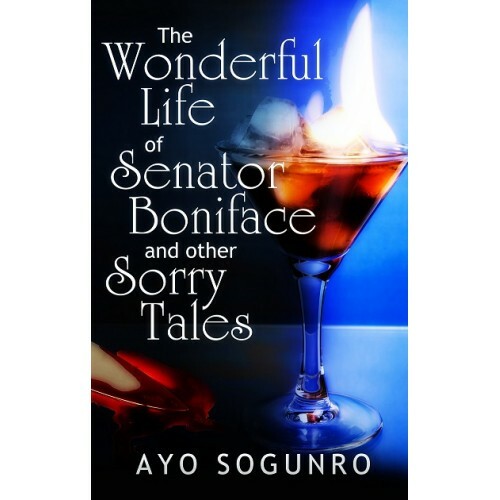 Ayo Sogunro is the author of The Wonderful Life of Senator Boniface and other Sorry Tales. A lawyer by profession, he also indulges in socio-legal philosophy on this blog. Interact with him on Twitter via @ayosogunro. Or if you’re in Nigeria, on Addiba and Konga too. Tags: Boko Haram, bombs, complacency, Lagos, lifestyle, nigeria, Nigerians, political science, politics, sociology, terrorism, war on terror. Bookmark the permalink. All through, I tried to imagine myself in your exact shoes, and I found that just like you, I wouldn’t have had a solution even as the seconds would have trickled by. More worrisome though is the unpreparedness of ‘random officials’ – like the one that accosted you – for these sorta scenarios; arresting the suspected culprit seemed more important to him than preventing an unfortunate tragedy. Amusingly, he even dragged the arresting process unnecessarily, so in the end, he did nothing more than hold you guys down, and even make things more difficult. The bottom line is that we are a people daily in danger of being blown away by the demons amongst us. Our collective memoirs of sorry tales is akin to a compendium that has no end. From an intelligence policy and emergency management policy perspective, as the number of terrorist attacks in a country increases; people get desensitized to the dangers of terrorism. Israeli citizens carry on their daily lives as if Islamic Fundamental terrorism does not occur in their country. Nigerians carrying on their daily lives as if Boko Haram terrorism does not matter is rational behavior in behavioral economics. If you want to eat, you have to go to work whether or not your country is a haven of terrorist attacks. I understand your point. This works where the government is actively guaranteeing the safety of citizens. Not so in Nigeria, in the North, tens of thousands of people have been internally displaced, and the chaos is shifting southwards. I beg to differ to your logic. The only reason Israelis carry on mundane human activities is because their government provides some form of security. The Iron Dome is an anti missel system that shoots down short range missels within Israeli air space. All you see at the end of the day is white smoke in the horizon and the distant muffled sounds of explosions in the sky. This does not mean that Pakistan insurgents (Hamas) are not trying to attack Israel. They just are failing. Statistically, despite the war prone environment, Israel is still one of the safest places to live. If the insurgents however are successful, there will be a break down of civility and the basic human desire- nay, instict will prevail. Nigeria is no exception. In fact our case is worse because we court a false sense of security (only because the attack hasn’t reached us) and lie to ourselves that we are safe. If Boko Haram turns up the heat to all parts of Nigeria, believe me you too will abandon theoretical economic behavioral postulations and marry your inborn instict for survival. I also doubt you will go to work that day. My fear transcends the event itself.Mine is the fear of jungle justice which could have trailed such an experience.I imagine the conversation between you & the security agent filtering into the midst of an adjacent crowd of already primed-up hooligans.Some damage would have been done before the realization of the truth. So sad that things have degenerated to this level in Nigeria. I don’t even want to imagine what would have happened if the owner of the bag had not shown up. Wow! Ayo! How very quickly you could have joined a statistic in the seemingly never ending strike of insurgency in this country. I’m relieved your story is this ordinary and uneventful. This is instructive of what to expect when things get to a head in Lagos. I wouldn’t have expected any different, but I’d at least have asked to see the contents of the bag. Well, since we were basically beating about the bush with the potential reality of a bomb abbreviating our existences in the next second, I’d have liked to see the bomb that ended my life. Maybe I’m just a random daredevil. As Walter said, glad the story is this uneventful, Mr. Ayo. God keep you. And us.